Ahhhh love is in the air, as we turn to those nearest and dearest to show them we care in a new social series called #IHeartFPGA. Feeling a little neglected, we have decided to show some love to our favorite development hardware with a month focused solely on FPGAs! Join Digilent for the month of February and share your favorite FPGA love stories, show off your partner in crime’s workbench wonders, or even just following along as we give some well deserved credit to the heart and soul of many inspirational project moments. While #IHeartFPGA Month may have already begun, there’s still time to join in and help us celebrate our often unsung hardware heroes. Below we have assembled the top questions you might have, including detailed information about what you can expect to see on Digilent’s social channels throughout the month. 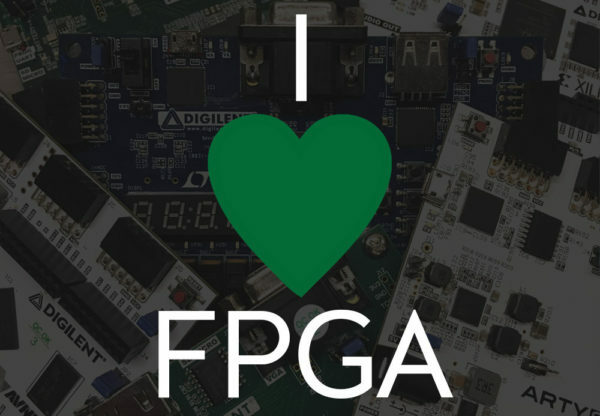 What Is I Heart FPGA (#IHeartFPGA) Month? With the kickoff of #IHeartFPGA Month we will begin leading those who follow along through a series of FPGA related posts that range from introductory topics to advanced knowledge and hardware understanding. As we post on our social channels, sharing new and previous content from our blog, we will continue to update this post with links. This FPGA related content can be found when scrolling to the bottom, providing you with a substantial resource of FPGA material that you can use to support projects today, tomorrow, or another day in the near future! Post an original photo on Instagram related to FPGAs. Tag it with the #IHeartFGPA hashtag. Each week will open up new opportunities to compete for one of our 4 FPGA giveaways, with each week’s entries carrying over towards the next giveaway. The more you enter, the more chances you have to win our final week’s FPGA, however each Instagram post must include different content (e.g., one photo of your workbench, one closeup of your favorite FPGA, etc. with all photos tagged according to the rules above) to be included in the giveaway drawing. Winners for each giveaway will be announced every Friday for the month of February (and the first Friday in March) on our Instagram account so make sure you check in occasionally for giveaway updates! Where Can I Find the #IHeartFPGA Lineup? The complete list of #IHeartFPGA posts will be updated each day throughout the month at the bottom of this blog post. You can also follow the #IHeartFPGA hashtag to find community posts and contributions to this monthlong FPGA celebration. We can’t wait to hear about your top FPGA moments, share in your favorite FPGA projects, and participate in your FPGA journey! Let us know what you would like to see (or anything you think we missed) by tagging us on social media and joining the #IHeartFPGA social community. We wish you all the best of luck and can’t wait to see where our chosen giveaways end up! February 1st: History of the FPGA – Follow along as we introduce the somewhat complicated history of FPGAs and get to know these heroic hardware helpers. February 2nd: Structure of an FPGA – Join us as we walk through the structure of an FPGA in this follow-up to Day 1 of #IHeartFPGA Month. February 3rd: PAL vs. CPLD vs. FPGA – Take a peek into the heart of digital logic and the basic primitives of the AND and OR gates. February 5th: FPGAs and Microcontrollers – Do you know the differences between your favorite hardware heroes? February 7th: Battle Over the FPGA: VHDL vs. Verilog! Who is the True Champ? – Cast your votes and learn a little history about two popular FPGA programming languages in this battle to the end! 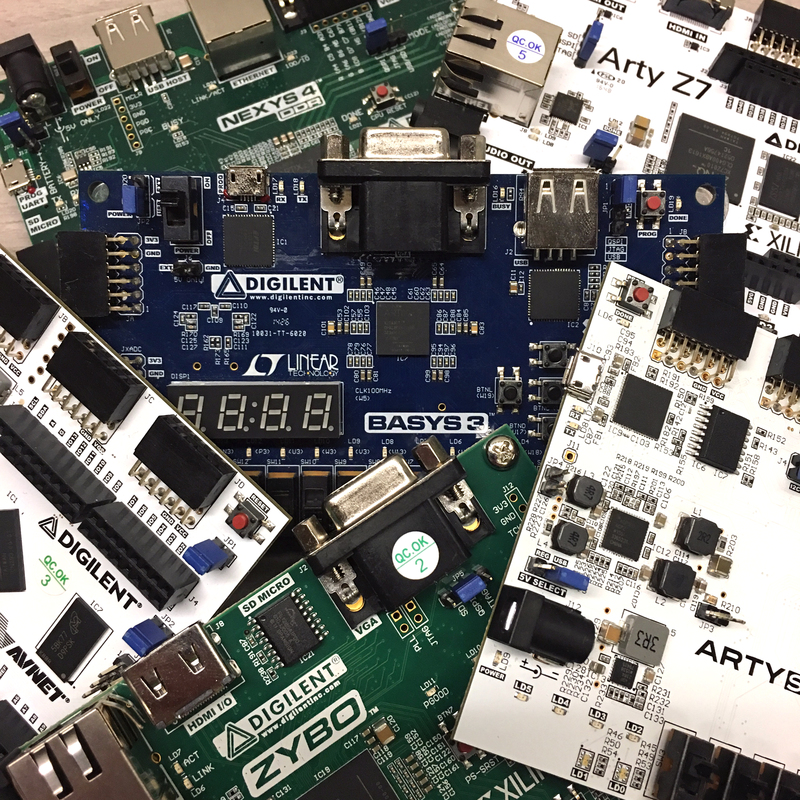 February 8th: #IHeartFPGA Basys 3 Giveaway – Introducing the first #IHeartFPGA giveaway featuring our Artix-7 FPGA trainer board for introductory users. February 9th: Last Call for Arty S7 RoadTest Applications – Don’t forget to submit your Arty S7 RoadTest applications for your chance to test our most recent addition to our Arty Family for Makers and Hobbyists! February 10th: Getting Started with FPGAs – Explore the numerous communities and resources available to help you succeed in your FPGA projects. February 12th: Creating and Programming Our First FPGA Project – Follow along in our four part series as we create and program our first FPGA while getting to know this week’s giveaway, the Arty A7! February 13th: How to Program Your FPGA (Four Ways) – Learn about the four different programming methods and choose the right option for your project needs. February 14th: Using the Pmod JSTK to Control a Stepper Motor with the Basys 3 – Review the multiple methods of adding motor functionality to your FPGA projects with a link heavy post featuring the Basys 3. February 14th (pt. 2): Digilent FPGA Dating Profiles – Find your true love in FPGAs this Valentine’s Day with an introduction to Digilent’s most eligible boards! 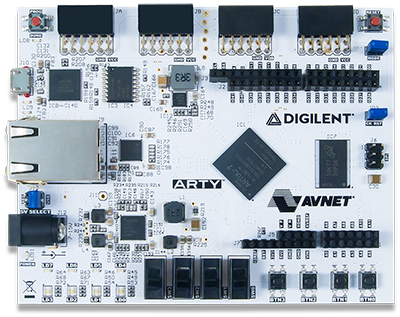 February 15th: Digital Logic and Arty: Demo Video Released – Implement adder circuits and get to know some digital logic basics with the Arty A7 before our upcoming #IHeartFPGA giveaway. February 16th: Arty Guessing Game – Race against the machine and find out who’s the ultimate champion in an Arty Guessing Game project. February 17th: ArtyBot – Take cover and watch out for the newest development in our Arty saga, a mobile ArtyBot chasing after you! February 18th: Zybot – Celebrate the final moments of another #IHeartFPGA weekend with a second robotics project, this time featuring the Zybo Zynq-7000 Trainer Board. February 19th: How to Add WiFi to your Digilent FPGA or Zynq Board – Explore new applications in FPGA development projects with the addition of WiFi and bring your projects into the world of IoT! February 20th: New Zybo Z7 Video Workshop – Dive deeper into FPGAs with the free Zybo Z7 Video Processing Workshop materials, then explore additional tutorials, example projects, and more on the Digilent Wiki. February 21st: My Embedded Linux Adventure: Intro to PetaLinux – Get to know some of the tools available to Linux developers with this introduction to PetaLinux. February 22nd: Nexys 4 DDR Spectral Sources Demo – Take a bite out of audio video applications with this Nexys 4 DDR demo complete with LED display! February 23rd: Good Idea or Bad Idea: Dual Booting – Find out the secrets to dual booting as one intern reflects on their recent education experience. February 24th: How to Know Your Signal Polarity – Review two timesaving methods to avoid future project frustration with this guide to checking your signal polarity. February 25th: Gyro Display – Discover new ways for adding functionality to your FPGA projects with an Arty A7 example and a couple of creative Pmod choices. February 26th: Interfacing with an FPGA from Linux on Zynq – Harness the power of Zynq and transform your FPGA into a Linux powerhouse with this advanced tutorial featuring the Arty Z7. 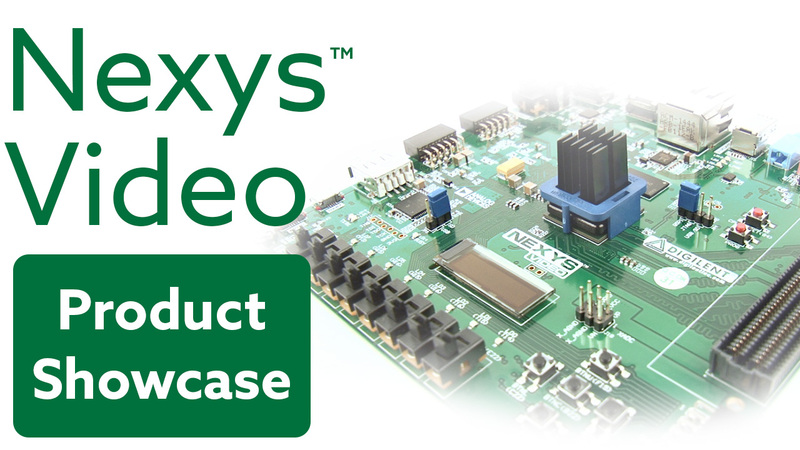 February 27th: Nexys Video Looper Demo – Record audio tracks and compose your own #IHeartFPGA anthem with this audio looper demo using the Nexys Video (our last Friday giveaway)! February 28th: Computers are Hard – FPGAs debugging FPGAs? Learn more about the FPGA powered Digital Discovery and how it helped one intern capture data and visualize signal lag.